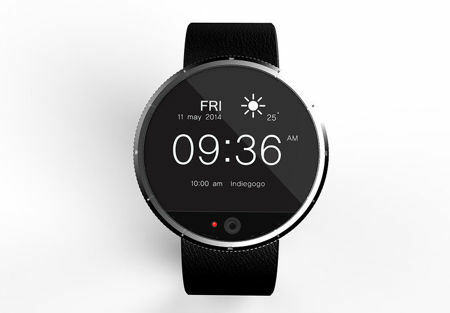 The FiDELYS smartwatch is touted to be a breakthrough for the iris recognition industry as it sports a price point as well as form factor that are unprecedented – thanks to an estimated retail price of $250, although those of you who would like to place a pre-order on Indiegogo.com, it will cost only approximately $200 thereabouts. The coming together of both biometrics and wearables will ensure that both industries are elevated to a whole new level since it finally shows the possibility of iris recognition technology arrive in a widespread manner as a consumer device. Apart from that, the smartwatch’s user interface is also special since it boasts of a rotating-clicking bezel, making this a departure from touchscreen displays that IriTech believes is not the best choice for form factors as small as a watch. IriTech claims that its iris recognition technology on the FiDELYS is said to be able to solve a trio of major problems that our current generation faces: The Password plague, Privacy issues and Authentication issues. In fact, the patented technology that IriTech uses will ensure that only “live” irises will work – high quality images, videos, as well as non-live irises will be deemed as unrecognizable to the FiDELYS.